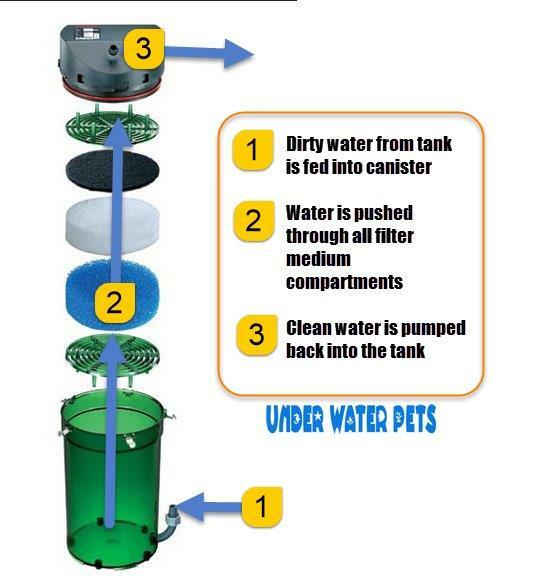 Interested in a canister filter? Want to know how they work, the maintenance required to keep them running, and which ones are best? I am going to answer all of those questions and more in this guide to canister filters. 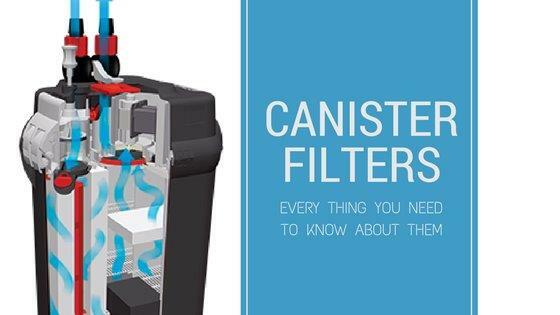 What is a Canister Filter? Canister Filters are external aquarium filters that clean water by pushing it though a pressurized canister full of different type of cleaning mediums. They perform both Biological and Mechanical Filtration. They will often perform Chemical Filtration also if a medium such as Activated Carbon is present in the canister. 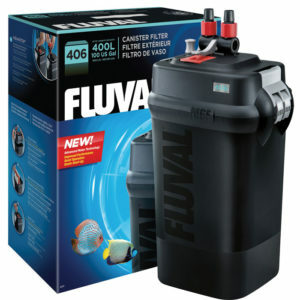 I give my top pick for best canister filter to the Fluval 06 series. I love their unique filter tray layout. It gives easier access to your primary filter sponges compared to other brands. This allows you to do more frequent cleanings of them without disturbing your biological filtration by having to completely empty the canister. This is a huge difference to anyone doing weekly cleanings like I do. Combine this with the other features they offer, like the quick disconnect hoses, and you can see why it is at the top of the list. You can check the most current price for your tank size on amazon using the links below. Water is extracted from the aquarium using a pump or siphon. That water is pushed through tubing to an external canister. Depending on the manufacturer and design of the canister it can be setup in a number of different ways. Water can enter and be pushed from the bottom to the top, top to bottom, inside out, front to back, left to right, etc. As the water moves through the canister it is pushed through a series of compartments; again the number of compartments varies between models. Each compartment houses a different type of material or medium. This medium can be anything, and a quick google search will show you all sorts of articles and forum posts of people getting really, and I mean really, creative with their filter mediums. The objective is that each compartment/material will perform a different cleaning function. Think of it like a team of maids. One will vacuum the carpet, another will make the bed, and the other does laundry. You don’t have to have a different medium in each compartment and often it is good to have multiple compartments with the same biological medium. This is so, as you replace the medium in one compartment with fresh material, you are not completely restarting your biological cleaning system. What are the best filter mediums? This is hugely debatable and largely up to personal preference, but as always it is really dependent on what is living in your tank. First let’s understand what each type of filtration is trying to do biological, mechanical, or chemical. We can then look at some options to perform each of these. Mechanical filtration is the physical process of pushing water through some type of material that will filter out larger particles floating around in the water. It’s like straining spaghetti noodles through a strainer. A good roll of filter padding and a foam sponge work perfect for this purpose. They can be used in tandem in one compartment layered so the sponge catches the larger particulates and the filter pad then catches the smaller ones. It is best if you organize your compartments so that mechanical filtration happens first. Biological filtration comes from having good bacteria living in your tank. Having a medium for these bacteria to live and thrive in, is to your aquarium what having thriving forests are to our air. Just like trees and plants convert carbon dioxide into oxygen for us to breath; good bacteria in your tank will convert deadly things like ammonia and Nitrites into much less harmful things like Nitrate. A small amount of the nitrate will be used as food by any live plants you have in the tank but is best removed with regular water changes. This is where the biggest debate comes in. The main thing to look at is surface area, how much surface area is there for these microscopic bacteria to grow on. What is the best material for biological filtration? Again up for debate, but here are some of my favorites. 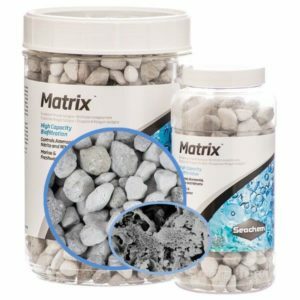 Matrix by Seachem – This product is highly porous. Each liter of Matrix provides 170 square feet of surface area for bacteria to grow on. That is the equivalent of a 10 gallon aquarium full of the average bio balls. 1 litter of material can fit in the average canister compartment where having a dedicated 10 gallon requires a lot more logistics. These are great in any size canister. filter. MarinePure by CerMedia – These ceramic filter mediums have amazing surface area. One 1.5 inch sphere has the surface area equivalent to about 1,350 plastic bio-balls. The balls fit nicely into mid to larger canister compartments. CerMedia also offers a variate of block sizes in addition to the balls. Chemical filtration is when a material pulls or extracts chemicals and toxins from the water. Activated Carbon is the most common chemical filtration medium, it removes a large number of toxins and chemicals from the water including dissolved proteins, chlorine, copper, medications, and other organic and inorganic compounds. It helps to remove odors and discolorations in the water for a crystal clear view. It does not remove ammonia, nitrite, or nitrate and is often paired with biological filtration or Zeolite to offset this. Since it will lose its effectiveness overtime it will need to be periodically replaced. About 1 cubic inch will filter roughly 2 gallons of water for a month so long as the tank is cycled through the carbon sufficiently (2-3 times per hour minimum). 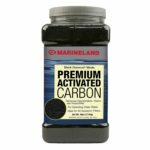 My top pick is the Black Diamond Premium Activated Carbon by Marineland. Zeolite is a porous mineral media that absorbs ammonia and nitrogen based chemicals. It is not a replacement to activated carbon but pairs well with it since it absorbs unwanted chemicals that carbon does not. 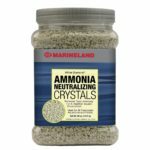 I like White Diamond Ammonia Neutralizing Crystals by Marineland. Aluminum Oxide (Phosphate Remover) is used specifically to remove phosphate and silicate from your water. Phosphate and silicate are large driving factors for hair algae and diatom blooms. 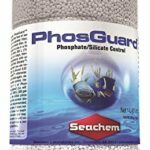 A great option for this is PhosGuard by Seachem. Resins filter mediums are most commonly ion-exchange resins. Most are specifically designed to filter a certain substance or group of substances and work great as emergency removers. They are often very good at removing copper, hard minerals, and medications. To sum up my use of chemical filtration, here is what I do. Activated carbon should be the main source of chemical filtration supported by Zeolite to assist your bio-filtration, but not replace it. Phosphate and Silicate removers should be used when you see high levels of phosphate when testing your water but definitely test before using to make sure it is needed. I shy away from resins for use in regular filtration and use them only when specifically needed. What regular maintenance is required? Water flow is key. Perform quarterly or bi-annual cleanings of the pump and hoses used for moving water to and from the filter. A good hose cleaner makes this job a lot easier. Taking apart your pump and cleaning it with a citric acid solution will help to remove any calcium or hard water build up. Failure to remove this build up will reduce the life of your pump and eventually cause it to stop working. For the maintenance of your media that is dependent on what you are using. 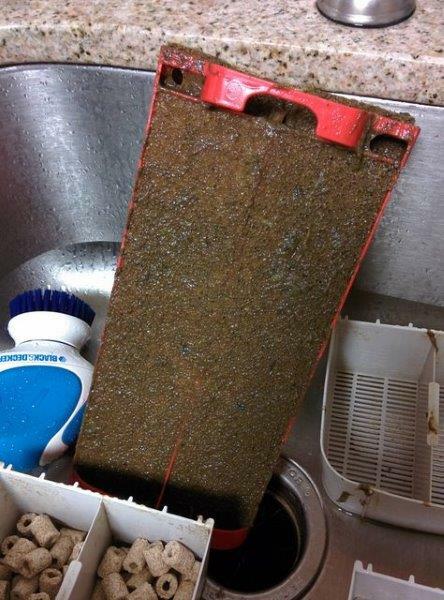 Sponges and Filter pads should be rinsed out every few days or at minimum once per week. All other media are going to vary. Some will need to be rinsed periodically while other need to just be replaced. 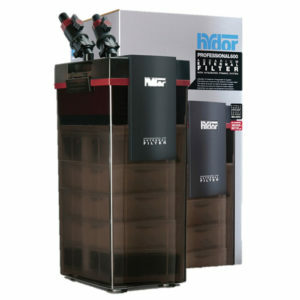 Refer to the recommendation provided by the manufacturer for the best schedule for each media you put in your canister. You can check the most current price on amazon here Magnum Polishing Filter. I love the versatility of this filter. It works great for small to medium sized tanks (55Gal or less) as a primary filter. 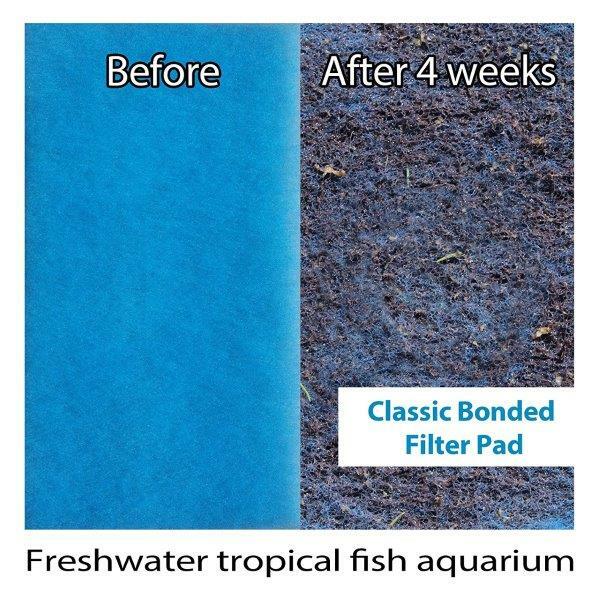 It also works great for any size aquarium as a backup, polishing, or special needs filter. It is rated for up to 97 gallons by the manufacturer, but I am a proponent for over filtering a tank. I say this is awesome for a 55 Gallons or smaller as the primary filter. There are no worries of leaks or need for extra space between the tank and wall since it is in the tank and not hanging on the back. Larger than 55 gallons and it really depends on the amount of livestock you have in your tank as to how effective it is. For tanks larger than 55 gallons, this is an awesome filter to drop in right after a water change or just before having company come over. It will give your filtration a quick boost to clear the water real quick. If you don’t like to use chemical filtration (carbon) constantly this is perfect for dropping in for a few hours to a couple days at a time. It is also great for treating your tank with phosphate removers or specialized resins for as needed treatments. In addition to all of that, having a good backup that can support your tank for a few days if your main filter ever dies can save you hundreds if not thousands of dollars in livestock. The down side is, it is a smaller filter. That means it will clog faster than a big filter. When filters clog up they tend to make noise. Because this filter does clean so well it will clog faster than others in its class. A common complaint about this filter is the noise. If you have a huge bio-load on your tank expect to clean it out more often. If you put this in a filthy tank that does not have a huge bio-load expect to clean it frequently until your tank conditions are better. Fluval has a long history of making quality canister filters. The current version in their line is the 06 series. The aqua stop quick release valve makes for easy removal of the hoses from the tank. The water shutoff valve keeps water in the hoses, but you will get a few drops on top of the canister when removed but not enough to worry about your stand getting wet. The 06 has an improved priming system over the 05 which allows for easier setup. The 06 model also reduced the noise level by 15% over its predecessor. This was accomplished by adding acoustic dampening material around the propeller assembly. Inside the canister Fluval has what I think is a very cool setup. 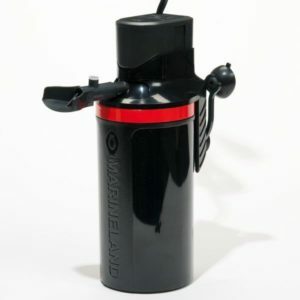 Most other canisters on the market today send water down to the bottom of the canister first where it is then pushed upwards through all the filter media. Fluval however, has moved the first stage of mechanical filtration to the side rather than just being the bottom canister. So as water is pushed down to the bottom, it flows through the first compartment of filtration sponges. Why is this awesome? Most of the nastiness from your tank gets caught by your mechanical filtration. The uneaten food and fish poo all get stopped here. If it stays there to long it will begin to break down further and move into your other compartments. If you keep this cleaned regularly though, your biological filtration will be healthier and your chemical filtration will last longer. By having this on the side you can pop the top off, slide out just this compartment and rinse it off w/out having to disturb the other baskets. In competitors canisters you have to remove all of the baskets on top to get to this sponge. Easier to clean means, you are more likely to do it frequently, which means your tank is healthier. The last item I am a big fan of on Fluval 06 filters is the tension bars / spring bar in addition to the suction cups to hold the siphon and return in place in the tank. This gives it a little extra force to stay in place. 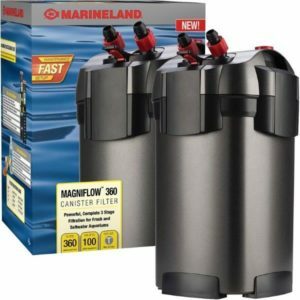 Marineland is a trusted manufacturer in the aquarium world and the Magniflow has been around for a while with continuous updates and improvements every few years. The latest iteration of this filter comes in three models the 160, 220, and 360. 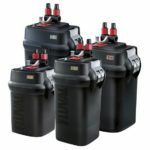 The three models are rated for tank sizes of 30, 55, and 100 gallons. The current model is an update to the prior C series, worth noting when purchasing online. The motor does not come with the O-ring installed. Make sure you do that to avoid a common complaint I have seen from people who did not do this and have had leak issues. The upgrades to the tray and lid locks are nice also. Now the trays can fit in any direction so long as you match all trays and lid in that same direction so the lift tube connects. Aside from the obvious size difference the 220 and 360 had a fourth tray. The easy release setup of the hose connection allows for simple removal of the canister from your cabinet without water going everywhere. Since the connection system fits down into a hole, the minimal dripping from the hoses falls into the top of the canister if you hold it in place for a few seconds after lifting it up out of the mount. This is a nice design feature that helps to reduce the chance of water getting all over the place. Hydor rounds out my top three listhas been known in the aquarium world for years for making great, reliable, and cost effective power heads. They have over the past several years been branching out into other products, especially those that utilize a water pump in some capacity. The Professional External Filter series has been one of these extensions. As expected it has a monster pump that offers great water flow. The intake and outlet are two different sizes so there cannot be any confusion on which hose to hook to which valve. This is a really nice filter that eliminates any guess work or double checking. Internally it offers a nice tray design to hold your filter mediums. On the outside it looks cool, it is a piece of equipment that if I had to have it outside the stand I wouldn’t mind it so much. I am a big proponent of hiding all my equipment too so that says something. My only complaint with this is in the hose connectors. The screw on connectors work great but I really like the quick disconnect that some other models offer. There also seems to be more water left to leak out when disconnected than in comparable models. This filter has a lot going for it, and is made by a company I love. I hope this is improved in the next iteration. Don’t get me wrong though, placing a towel right by the hose connector while disconnection takes care of the small amount of water, and the superb pump system more than makes up for this.